Bargain-buy quad-core. 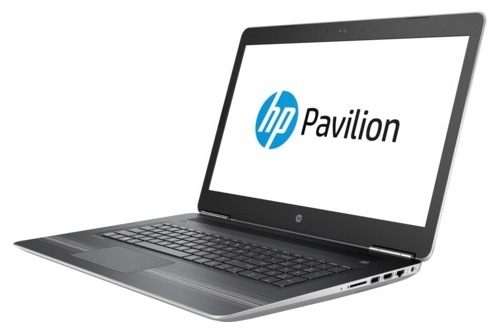 A well-rounded notebook for under 600 Euros (~$815) - that's what the Pavilion 17 offers. A quad-core processor and a dual graphics card supposedly ensure optimal performance. Our review reveals whether this setup really does its job. 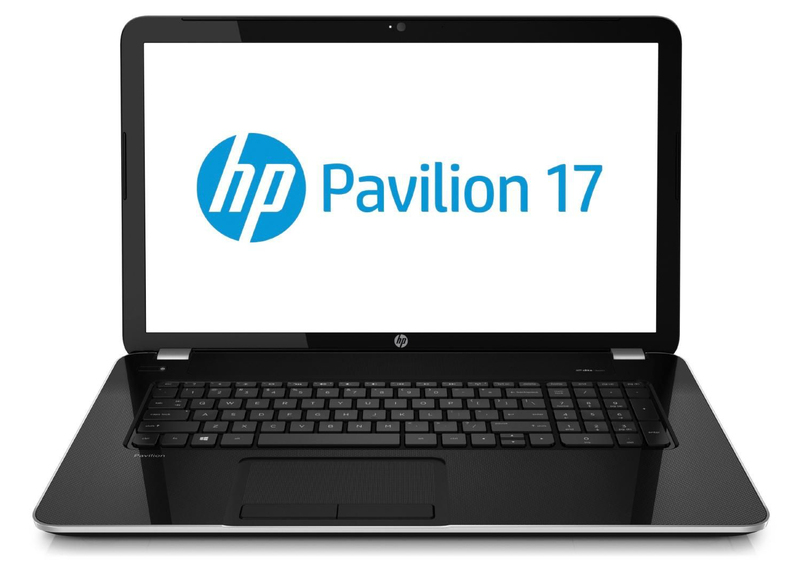 The HP Pavilion 17-g122ng is a laptop for mobile work and games. The Microsoft Windows 10 64-bit Home system comes with a 1.6 GHz Intel Pentium N3700 processor, an Intel HD Graphics, 8 GB DDD3RL SDRAM and a 500 GB 5400 rpm SATA hard drive. Its 17.3-inch BrightView display features a resolution of 1600 x 900 pixels. The big screen real-estate makes for a comfortable working experience when multiple windows are open. The full-sized island-style keyboard has an number pad and the HP Imagepad touchpad supports multi-gestures. The connectivity includes two USB 3.0 ports, a USB 2.0 port, an HDMI port for connecting a TV or projector, an audio combo jack, an SD card reader for simple transfer of photos from a digital camera and a DVD-RW drive. 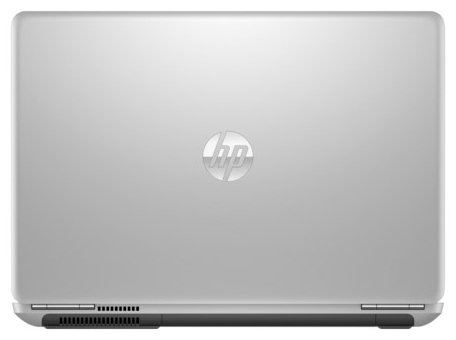 The laptop weighs 2.8 kg and has a battery life of up to 5 hours according to HP. The overall design and build quality is a little clunky but still feels pretty refreshing compared to last year’s model. However, we didn’t notice any major inconsistencies, gaps or flaws. The only thing that we would really like to be changed in the next version is the inconsistent and stiff touchpad. And probably lower the weight and height of the chassis. Anything other than that is just fine for a 17-incher starting at around $700-800. Positive: Large screen; powerful hardware; solid workmanship for gamers. Negative: High price; average battery life. Positive: Large screen; powerful hardware; long battery life. Negative: Plastic case. Positive: Large screen; lightweight; high autonomy. 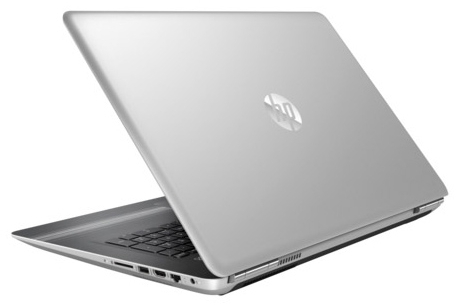 The new HP Pavilion 17 gets a thinner metal frame with slimmer bezels, but some elements of this entry-level laptop feel trapped in the early aughts. Positive: Large screen; powerful hardware; good price; long battery life. Negative: Plastic case. 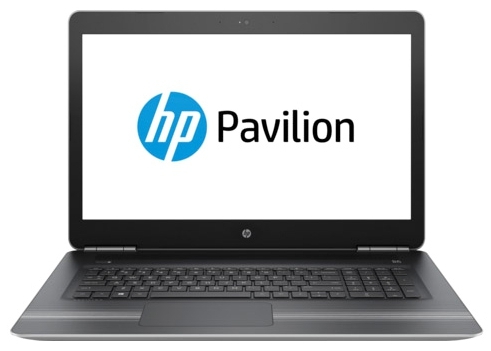 However there are also some reasons to doubt the Pavilion’s continuing popularity: firstly, it’s now possible to buy Chromebooks equipped with Full HD screens for half the money that the HP Pavilion costs. And there are some things about the Pavilion line-up that remain stuck in the early years of the 21st Century: limited battery life and a lack of configuration options on some models among them. Positive: Slim size; large screen; nice display; beautiful design. The slight thermal throttling we noticed in our torture tests is not worth worrying about since it occurred at special circumstances with an unusually high load. We also like the surface temperatures, during those high loads, which are under 30°C for more than 50% of the surface. Positive: Good cooling system; nice display; good price; long battery life. Negative: Plastic case; no backlit keys. AMD Radeon HD 8650G + HD 8670M Dual Graphics: Dual Graphics (asymmetrical CrossFire) combination of a dedicated Radeon HD 8670M and a 8650G processor graphics card (in the processor core of the A-Series). Only in some cases faster than one GPU alone and furthermore it sometimes suffers from micro stuttering.Non demanding games should be playable with these graphics cards. Intel HD Graphics (Braswell): Integrated graphics card in the Intel Braswell series (Celeron and Pentium) processors. Based on the Broadwell architecture (Intel Gen8) supporting DirectX 11.2. Depending on the processor offers 12 or 16 shader cores (EU) and different clock speed.With these GPUs you are able to play modern and demanding games fluently at medium detail settings and HD resolution. NVIDIA GeForce GTX 960M: Upper mid-range graphics card of the GeForce GTX 900M series.NVIDIA GeForce 940M: Mid-range graphics card of the GeForce 900M series, based on the Maxwell architecture.NVIDIA GeForce GTX 1050 (Laptop): Mainstream graphics card based on Nvidia's Pascal architecture and successor to the GeForce GTX 960M. Is manufactured in a 14nm process at Samsung and the technical specifications are very similar to the desktop version.NVIDIA GeForce GTX 1050 Ti (Laptop): Mainstream graphics card based on Nvidia's Pascal architecture and successor to the GeForce GTX 965M. Is manufactured in a 14nm process at Samsung and the technical specifications are very similar to the desktop version.» Further information can be found in our Comparison of Mobile Graphics Cards and the corresponding Benchmark List. 6300HQ: Skylake-based quad-core processor for notebooks. 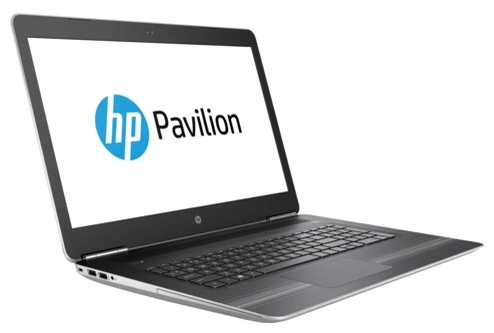 Offers an integrated HD Graphics 530 GPU and is manufactured in 14 nm.6200U: Skylake-based ULV dual-core processor for thin notebooks and ultrabooks. Offers an integrated HD Graphics 520 GPU and is manufactured in 14 nm.7300HQ: Quad-core notebook processor based on the Kaby Lake architecture running at 2.5 - 3.5 GHz without Hyper Threading (which is supported by the faster i7 CPUs). The chip also integrates the HD Graphics 630 GPU clocked at 350 - 1000 MHz and is manufactured in a 14 nm process (improved compared to Skylake).Intel Core i7: The Intel Core i7 for laptops is based on the LG1156 Core i5/i7 CPU for desktops. The base clock speed of the CPUs is relatively low, but because of a huge Turbo mode, the cores can dynamically overclock to up to 3.2 GHz (920XM). Therefore, the CPU can be as fast as high clocked dual-core CPUs (using single threaded applications) but still offer the advantage of 4 cores. Because of the large TDP of 45 W / 55 W, the CPU is only intended for large laptops. 6700HQ: Skylake-based quad-core processor for notebooks. Offers an integrated HD Graphics 530 GPU and is manufactured in 14 nm.7700HQ: Quad-core notebook processor based on the Kaby Lake architecture. Besides four CPU cores (including Hyper Threading), the chips also integrates the HD Graphics 630 GPU and is manufactured in an improved 14 nm process.8750H: On Coffee Lake architecture based processor for big and heavy laptops. Integrates six processor cores clocked at 2.2 - 4.1 GHz (4 GHz with 4 cores, 3.9 GHz with 6 cores) that support HyperThreading. Manufactured in an improved 14nm process (14nm++). 76.6%: This rating is not convincing. The laptop is evaluated below average, this is not really a recommendation for purchase.» Further information can be found in our Notebook Purchase Guide.